Hello. I am new to the forum and to Roku development. I had a question about hosting video files for the Roku channel. What services can I use? Any help would be appreciated. Last edited by uarlive on Fri Apr 22, 2011 11:30 pm, edited 1 time in total. thanks i appreciate the answer. I will also add a vote of confidence in HDDN. They are part of the NetDNA architecture but have a pay as you use it approach. We use them heavily and have had no problems (not an employee or anything, just an advocate after trying the others). Also, you can consider things like Amazon S3 or EC2 as well. It all depends on the file types and of course, the cost you are willing to absorb to achieve the results you need. I can tell you that the big guys (Hulu and Netflix) both run on the Akamai infrastructure. I'd steer away from SimpleCDN. The cost may be tempting, but let me put it this way, we'd sue them if we could find an actual physical address to serve the summons. How about S3/Cloudfront? I like it because we were able to develop a completely custom solution around it that really fit our client's needs. The cost is fairly reasonable, too. We haven't tried to hook it up to Roku, yet, but are investigating that possibility. Any problems with it? i will let you know. we are working on a solution that will use either amazon or rackspace cloud. We currently use Amazon Cloudfront exclusively. If you want a simple to use pay as you go solution, they work great. The only downside for us has been the lack of statistics. Amazon only provides virtually unreadable log files. The streaming of videos has been very reliable. I understand that you can use Vimeo (and possibly YouTube) for hosting videos on Roku, but I don't know the endpoints that you would use for either of these hosts. Does anyone else here use Vimeo to host a video for a Roku Channel and if so, what endpoints are you using? Messaging Protocol (RTMP). CloudFront accepts RTMP requests over port 1935 and port 80. 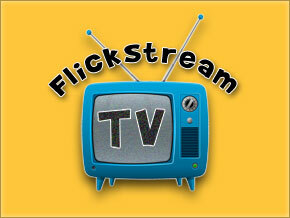 The only way to deliver live content on the Roku is to use HTTP Live Streaming (HLS). Video on Demand (VOD) can be delivered via HLS, mp4, and wmv container files. In the past for testing we have used http://www.hddn.com. I currently use Amazon s3, most of my video files right now are around 150 MB, which seems to cause some slow loading issues. Has anyone gotten around this problem or could you recommend a similar amazon or other low cost service provider. I have found that the amazon s3 is very inexpensive.